Be the Captain. Survive on the Edge in a World with Consequences. Abandon Ship is a PC game where you take command of a ship and her crew, exploring a diverse, procedurally generated world, taking on quests and dealing with random events. 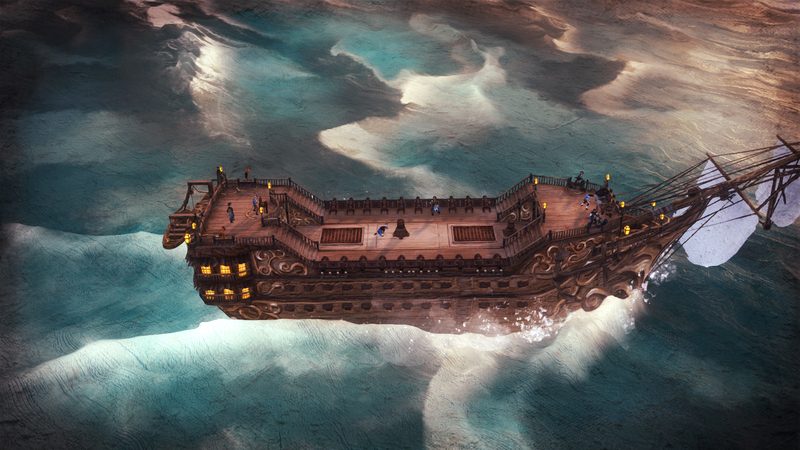 Frequently, you will end up engaging other ships in combat, the player having to employ their best tactics in order to out-manoeuvre and out-gun the enemy.The game focuses on “Age of Sail” ships in a Fantasy setting, framed in an Art Style inspired by classic Naval Oil Paintings. Ship Destruction is not the End. Combat is tactical and savage. Each battle is hard-fought, always on the edge of defeat. By employing every advantage you can, and making the best of the tools available to you, can you triumphantly overcome the odds. Explore a fantasy world that reacts to your actions. Quests may drastically change the environment. Make decisions that could create friends or enemies that may later come back to help or hinder you.